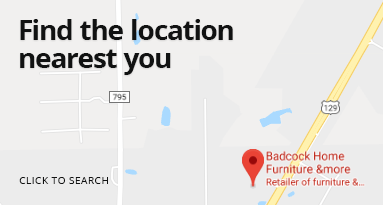 At Badcock Home Furniture &more in Hartsville, South Carolina, our friendly staff is ready to help you find quality furniture and appliances to fit your style and budget. Our store is located at 310 Hartsville Crossing Boulevard, Hartsville, South Carolina 29550, near the Walmart Superstore. We are open Monday through Friday 9:00 a.m.-7:00 p.m. and Saturday 9:00 a.m.-5:00 p.m. For more information, you can reach us by calling (843) 383-3650. We hope to see you soon!